Microsoft has launched a Sculpt Mobile mouse in India for Rs. 1800 INR. This mobile Mouse has been designed to less tax your hands while day to day operations is optimized for use with Windows operating system. 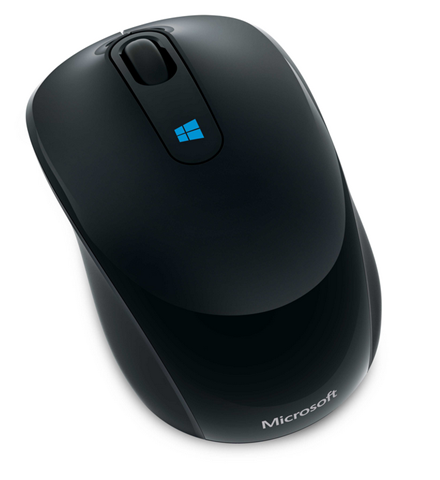 This Mouse is Equipped with a windows 8 key for easy access to the start window in Windows 8 O.S. Microsoft has eliminated Start button on the Desktop UI for windows 8 and this key will directly help you navigate to the tiled start menu. For the windows 7 users this key will launch the start menu. This 4 way scrolling mouse is wireless to reduce the wire clutter and comes with BlueTrack technology which helps you to use every surface as a mouse pad, except for clear glass and mirrored surfaces, thus making it quite handy and portable.